Description: This is a very tall Dr. 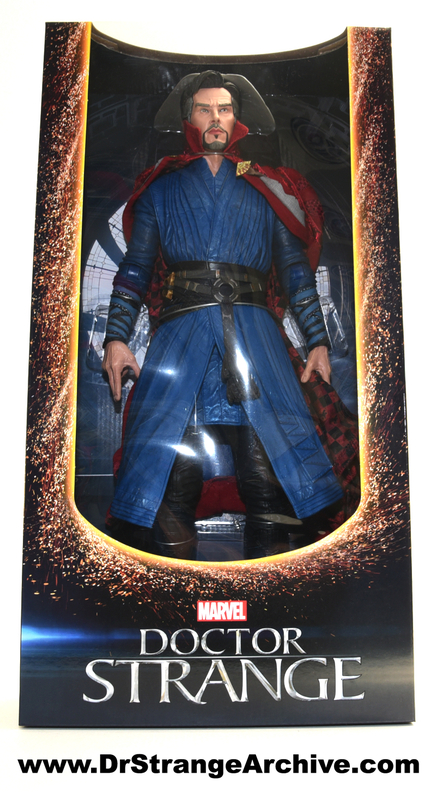 Strange figure featuring a posable cloth cloak, removable sling ring and Eye of Agamotto and interchangeable hands. It is sculpted by Alex Heinke.